You wouldn’t run out and buy tons of new furniture without first reviewing what pieces you already own, right? Yet many companies follow that exact same route when it comes to adding new content to their sites. They fail to take stock of what they already have, missing the vital step of a content audit. Content will always be the driving force of your website, as visitors are always looking for information that solves their problems and meets their needs. Whether it’s switching software providers, buying a new home or finding senior care, visitors are searching for content that is relevant, compelling and easy to find. A content audit focused on these five categories can help ensure your content meets all the above criteria. Choosing an accurate name for your content may seem painfully simple¸ but it’s definitely worth mentioning due to its extreme importance. Names mean things, and the more obviously you can point that out, the better off you’ll be with search engines and visitors alike. Now’s not the time to be obtuse or overly clever, but simple and straight to the point. Whether you’re naming a Best Practice Guide, Template or Quiz, make sure the name reflects what visitors will find. Accurate naming of content also makes it much easier to accurately classify it. A solid content marketing plan, and alluring website, typically features a variety of different content types. Reviewing what types you already have can help you assess where your site may be lacking. Common content types include e-books, whitepapers, infographics, webinars and demos. E-books: Longer and more in-depth than a blog, but shorter than a whitepaper, e-books generally feature 6 to 12 pages of text and images using a conversational tone geared toward the B2C market. Whitepapers: With a formal tone and text-heavy, data-oriented content, whitepapers usually contain 20 to 30 pages of deep knowledge geared toward the B2B market. Infographic: Great for statistics, timelines and other content that can be expressed with images, infographics are typically visually oriented and highly shareable. Webinars: These online seminars provide a live or almost-live experience of listening to the expertise or input from the featured speakers or hosts. Demos: With the option of being live or recorded, demos offer a demonstration of the product while showcasing its features and benefits. Having a variety of content types is good, especially if you’re in tune with your different types of buyer personas who may be interested in those various content types. Mapping out your buyer personas allow you to cater to each type of customers. Your overall aim is to speak to each persona’s pain points and challenges as they make their way through the buyer’s journey. To most effectively achieve this, you first have to understand who these buyers are and what their journey looks like. A 20-something with a limited budget is going to be far less interested in reading a whitepaper about your clothing line, although that whitepaper may appeal to the fashion buyer at a major department store. Truly understanding your buyer personas can provide insights to your sales department, as well. Sales representatives can more accurately assess each lead to ensure it’s an ideal fit with one of your personas. Not all leads are worth pursuing, and those that don’t mesh with your personas may be far less inclined to buy. Reviewing your content with keywords in mind is another helpful strategy. You want to determine if your content is focused on any particular keywords, or if you overall keyword strategy is being effectively implemented across the board. While keywords should not be the sole driver of your content, you definitely want to be mindful of your keyword strategy when updating existing or developing new content. Checking in on the status and location of your content can help you verify it’s easy to find, properly categorized and still relevant to your visitors. Is the content currently live? When was it last updated? What’s the physical location of the file? 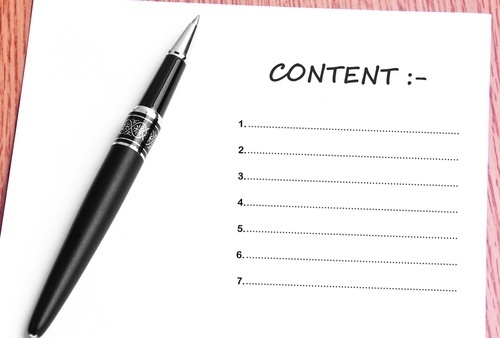 Including these five categories in your next content audit not only ensures your audit will be thorough, but it will also be extremely enlightening. You’ll have a solid idea of your content’s strengths, weaknesses and where it can be fortified to bring even more customers your way.